At Saturday’s award ceremony, the Award for Best Action Sequence went to A New Home. The action in this impactful social commentary comes from a paranoid chase scene, against the backdrop of the ongoing refugee crisis in Slovenia. Since 2015 more than a million migrants fleeing war and terror have crossed into Europe illegally, in what has been the greatest mass movement of people since World War II. The rise of far-right populism and a newly fervent nationalism fuel the now pervasive anti-immigrant and anti-Muslim rhetoric sweeping across the European political spectrum. The refugee as a subject of political and public discourse has become a figure of paranoia, where racism and xenophobia is thinly veiled through discussions surrounding a perceived rise in crime, and of migrants as a threat to European culture and identity. With Slovenia as its backdrop, Žiga Virc’s 2016 short A New Home is a psychological exploration of this European anxiety over the refugee. Here, the fear of the refugee is imagined through a hooded figure – faceless, identity-less – an aggressively masculine force that threatens and infiltrates the safety of the home, the walls that secure yet restrict us within the so-called normality of European-ness. The refugee is an object of terror, the antagonist of a horror film. Between October 2015 and March of last year, almost 500,000 migrants entered Slovenia through the southern Croatian border, moving northwards in order to reach the more affluent western European countries as well as Scandinavia, particularly Germany and Sweden. Slovenia became a point of transit in what was known as the Balkan route, migrants entering the EU through Greece and travelling through Macedonia, Serbia, Croatia and Slovenia before reaching their destination countries in the north. In order to manage the sudden influx of asylum seekers attempting to enter the country – at one point there were an estimated 10,000 migrants crossing the border per day – Slovenia constructed a kind of humanitarian “corridor” that assured a safe passage through the country. Migrants could now enter without proper documentation, contravening Schengen border law. This is the tiny glimpse of what we see in Virc’s film – as the protagonist’s car cautiously crawls by a makeshift camp near her new home, we hear the radio announcer describe the temporary housing centres as well as the razor-wire fence that had been constructed earlier along the Slovenian-Croatian border as a reaction to the vitriolic public outcry to the incoming migrants. This first look beyond the statistics – into the reality of their physical presence – is the start of the paranoia that quickly spirals into dread, violence and tragedy. Out of the hundreds of thousands that crossed the country, a very small proportion – a tiny 1,300 in 2016 – actually applied for asylum within Slovenia. The increase in the number of migrants was met with racist and xenophobic rhetoric by the general public as well as more high-profile politicians. This kind of heavily charged discourse has more of a history in Slovenia, where anti-immigrant sentiment reaches back to the early 1990s with the collapse of former Yugoslavia, when the country was faced with thousands of refugees, mainly from Bosnia and Herzegovina. 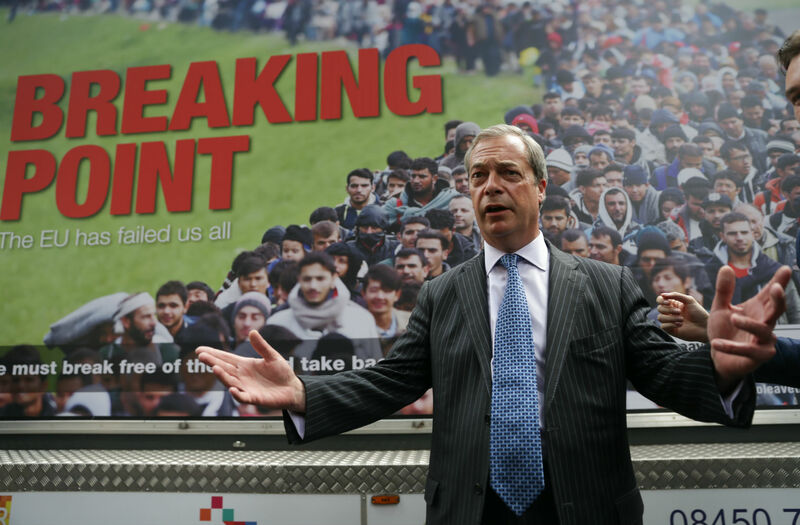 A now infamous image of migrants marching through the fields of Slovenia with the caption “Breaking Point”, used by far-right British leader Nigel Farage during the Brexit campaign, fuels this kind of racial hatred, where the desperate and needy are stripped of any remnants of humanity in the public eye. Nowadays nationalism is fierce, and the incoming migrants are generally seen as a threat to national security and to Slovenian culture and identity. In March 2016 Slovenia announced that it was to close its borders to those seeking passage through the country, leaving around 30,000 stranded in Greece after other neighbouring countries also implemented stricter border restrictions around the same time, effectively closing the Balkan route. In the absence of a valid visa, only those planning to seek asylum within the country, or those with humanitarian reasons, could enter. The move was criticized as it only encouraged human trafficking and for the stranded to seek alternative, more dangerous routes towards northern Europe. A New Home is powerful because the refugee is envisaged not through blatant anti-immigrant discourse or obvious prejudice – here, there is in fact very little dialogue at all – rather, the very real psychological effects of scaremongering politics. The film’s lone protagonist is overwhelmed by an outside presence that outnumbers her, and in her mind it becomes a perceived battle of me against them, the Other, the terrible unknown. Catch the last two segments tonight!